With no discredit to the designer, whenever I write the words in this post title I automatically default to Lucky Stripe. Blame it on Mad Men or a lack of sleep. I can say, however, that this fabric is a helluva lot nicer than a pack of cigarettes. The colours are incredibly rich in the Lucky Penny line. 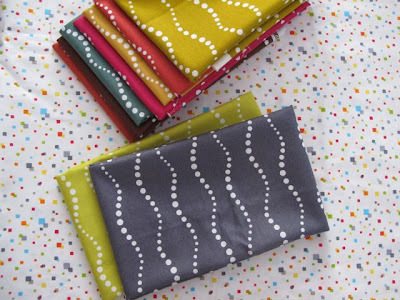 I fell in love with these wavy, dotty stripes as soon as Allison Glass previewed them. The rest of the line is gorgeous, but I was definitely smitten with these. So much so that Allison sent me this stack of fat quarters. I've been fondling them since they arrived, a little too much like Gollum and his precious ring. Those of you who know my work can recognize that the colours are a bit earthy compared to my usual choices. Sometimes, however, you can't explain the love you feel for something. It might be the arrival of winter, it might be that the richness is tempered by the amazing grey and that awesome chartreuse, it might just be because the fabrics are so damn pretty. I have been loving these every time I see them. I wonder if I let Allison know how much I love them....but I can't wait to see what you do with them! One of the blogs I follow ALWAYS uses muted pastely soft colours. I see them and know right away they are very Sherri! You know! Me I have to have loud and have a hard time even working with muted or stuff with no colour! But man... if it jumps out at you! It has to be good! I hope you follow my sleep deprived logic! LOL. HEY I just finished my first quilt from SMQ! Ya! 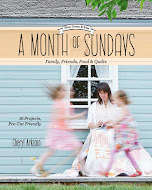 I love the quilt in this photo, and the idea of a weekend reads series sounds good too. 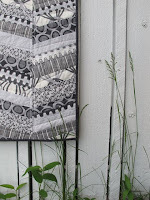 mostly I needed to comment to say that my husband doesn't like when I quilt when we're all home either. 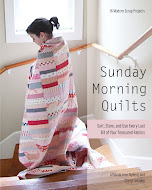 I always wondered about the other quilt-blogging-moms and how they dealt with this situation.. 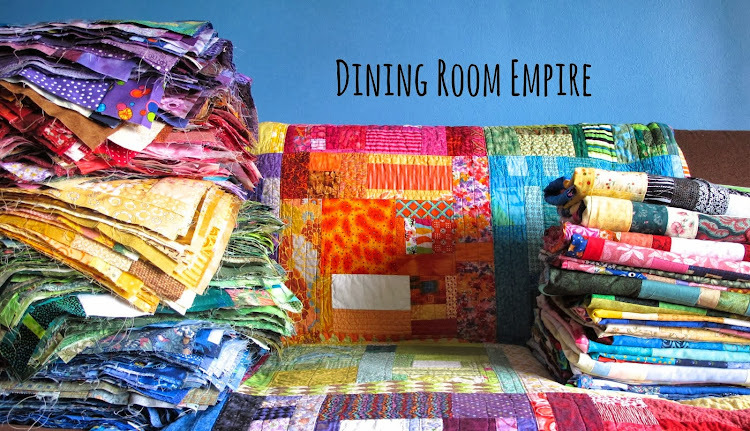 I don't think I'm ready to give up quilting on the weekends, but I am trying to keep the dirty dishes out of the sink before I escape to the sewing room at least..
Oh. Wow. Those fabrics are delicious!